We love that we see forsythia in full bloom, crocus and daffodils popping up out of the ground, tulips and cherry trees getting ready to explode with color. Spring is finally here (even on a rainy day - actually, a pretty rainy week) and we are feeling refreshed and inspired. We have been smitten with BHLDN since their launch, and we took some time to build a few mood boards with their lovelies. First up - white. We are designing a lot of white weddings this season. 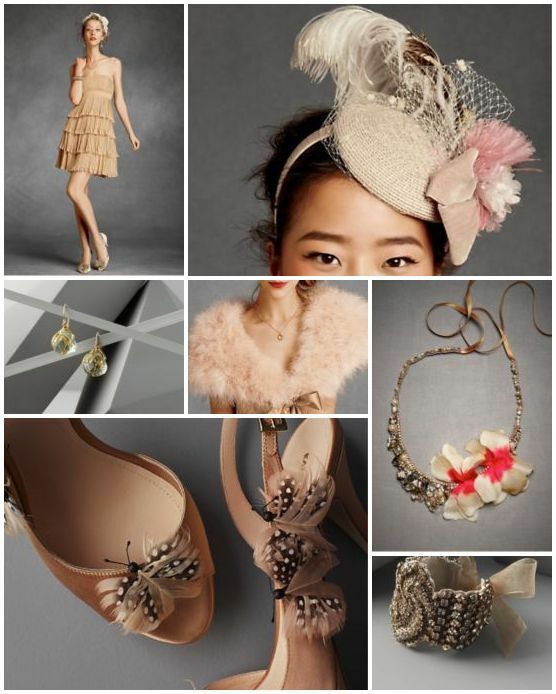 A nod to classic elegance, with a twist of course. 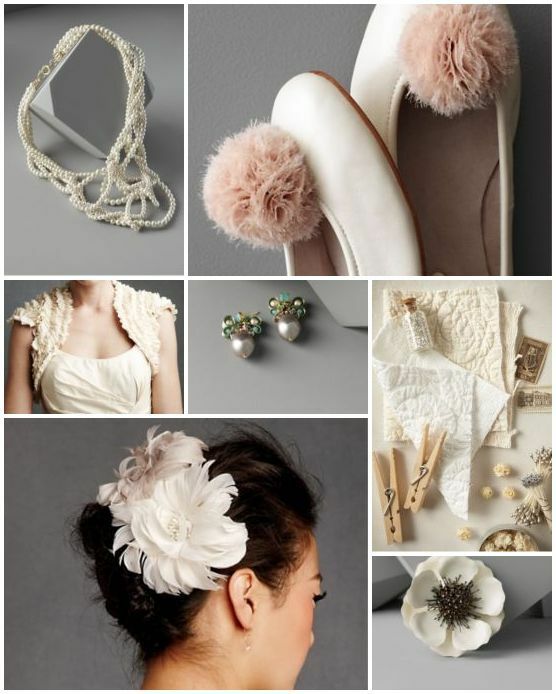 Lots of textures in lace, pearls, various blooms, and layering make this a romantic choice. Have you ever noticed how many shades of white there are? Seriously, go to a paint store and grab some paint chips. You'll see just how many 'whites' there are to choose from. Daffodil Festival on Nantucket is one of our favorite times of year. It is an explosion of yellow everywhere. Sometimes the weather is great - and sometimes, not so much. Regardless, people are out in full force on the cobblestone streets in all their yellow glory. Yellow is just one of those colors that makes you smile - no matter what the temperature is outside. Then we have purple. 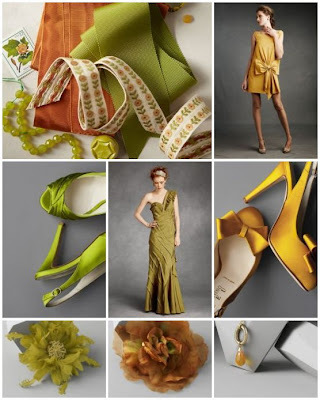 This color is a love it or hate it color - and right now, it is the 'it' color in fashion. 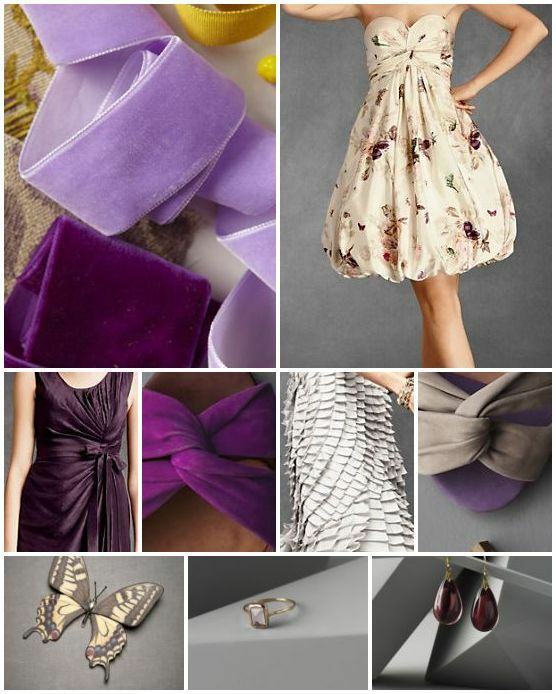 Purple is a sign of royalty, and with the upcoming nuptials of Prince William and Kate, it's sure to stick around. It will be fun to see how that wedding unfolds and what new wedding trends will be inspired by their wedding.